Best Western Galt Inn est idéalement situé dans le centre de Galt. Venez découvrir et profiter de notre hôtel à côté des principaux sites touristiques. Réservation au meilleur prix et offres exclusives toute l'année. Découvrez tout ce que le nord de la Californie a à offrir dans cet hôtel de Galt, offrant un petit déjeuner gratuit et situé à proximité des caves de vinification et du marché de Galt. Toutes les chambres avec lit king size sont situées au premier étage. Il n'y a pas d'ascenseur dans l'hôtel. L'hôtel dispose uniquement d'escaliers. Le BEST WESTERN Galt Inn est situé dans la ville pittoresque de Galt, en Californie. Les clients de l'hôtel auront droit à de superbes équipements, un service clients de qualité supérieure et des chambres confortables. L'hôtel est proche du marché de Galt, le plus grand marché de vente en gros ou détail du nord de la Californie et de la réserve animalière de PAWS. Les manifestations locales préférées incluent la fête annuelle des fraises et divers tournois de baseball et softball. En outre, nos clients pourront visiter les caves de vinification, non loin du Galt Inn. L'hôtel offre des chambres élégantes et modernes, chacune équipée de télévision câblée/par satellite avec HBO®, Internet haut débit, four à micro-ondes et réfrigérateur. Les autres équipements de l'hôtel incluent une piscine extérieure, un centre de mise en forme, un bain bouillonnant, des services d'affaires et un centre d'affaires. Un petit déjeuner continental gratuit est disponible tous les matins. Ne perdez pas une minute ! 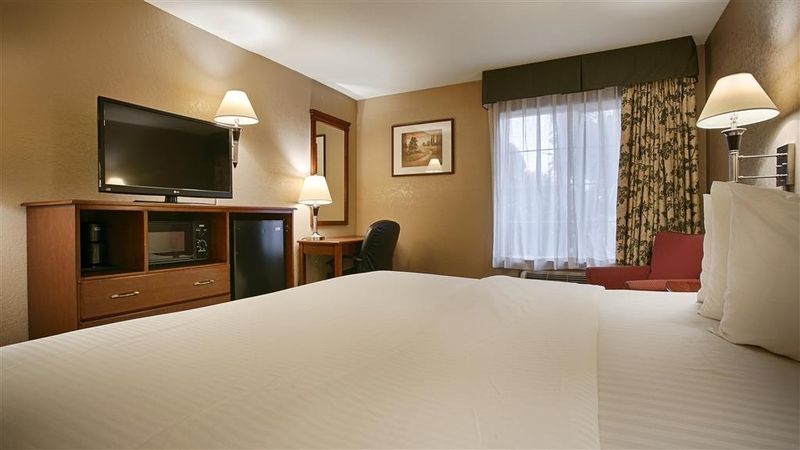 Réservez dès maintenant votre chambre au BEST WESTERN Galt Inn ! 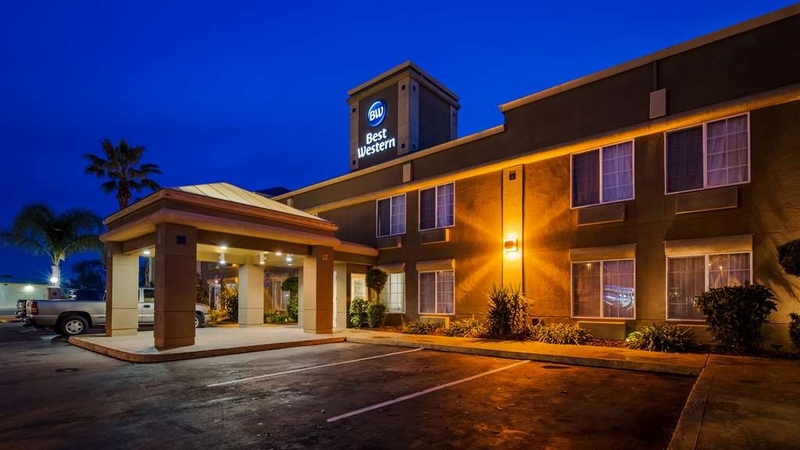 If you find yourself traveling through the Sacramento area make sure to Stay at the Best Western in Galt. Nice clean rooms. Fantastic services. Full breakfast choices. Nice size TVs. Wifi. and a gym. This location has everything and it won't break the bank. 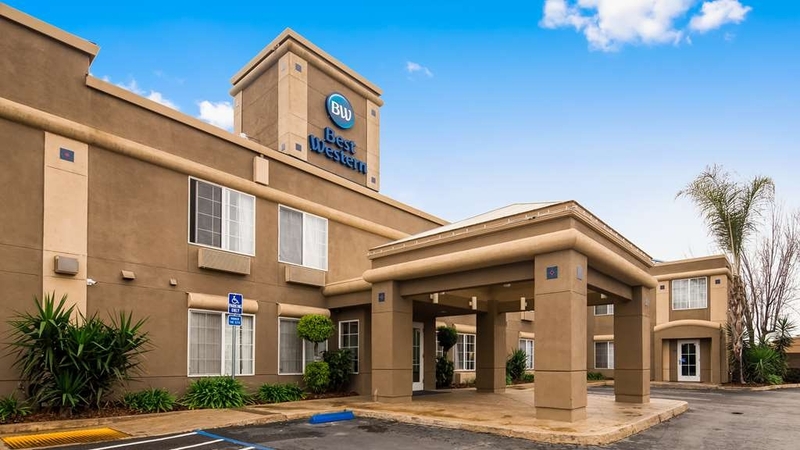 There's only two hotels in Galt, CA and the other one was about $30.00 per night so I chose Best Western. This hotel is being remodeled or perhaps an addition but a lot of construction going on. Thank goodness the contractors don't begin their work until 10:00AM allowing people to sleep in a bit. This Best Western was clean and I'm a bit OCD about cleanliness. The rooms aren't as big as the other hotel in Galt but was comfortable for a one night stay. There was quite an assortment of breakfast items in the morning from hot items like scrambled eggs, sausage, hash browns, Belgian Waffle and coffee or tea to an assortment of breads for toasting and breakfast pastries. My only complaint is I like my coffee a bit stronger but that's just me. Staff were all very friendly which made me feel very welcomed. Hard to rest when they are jack hammering! They should shut down to remodel. Very noisy stay. I will never stay there again, I can't believe this hotel is a Best Western. I asked for a refund but got turned down! I would recommend this hotel to anyone looking for a nice place to stay. The staff was so great and the hotel was very clean. The management was very understanding and compassionate about my situation and very willing to work with me. Typical hotel nothing too fancy or spectacular I like any best western hotel but they all are pretty much the same. Needs to be updated the furniture and interior design was outdated. They were however adding more rooms and could possibly be updating their previous rooms. We stopped here while traveling from Portland to San Jose. The exterior was a mess because they were building a new wing. However, our room was clean, quiet, and comfortable. The breakfast was hot, tasty, and well-stocked. The Internet worked fine. Very comfortable, clean and at an affordable price so my son and I could each have our own room! The staff is super friendly and happy to help; couldn't ask for a more pleasant experience! Also the location is centrally located right between Sacramento and Stockton/Modesto. "A good place to stop at for the night from driving from Northern CA." Very nice rooms, quite and a good breakfast.Easy freeway access to the 99 south. 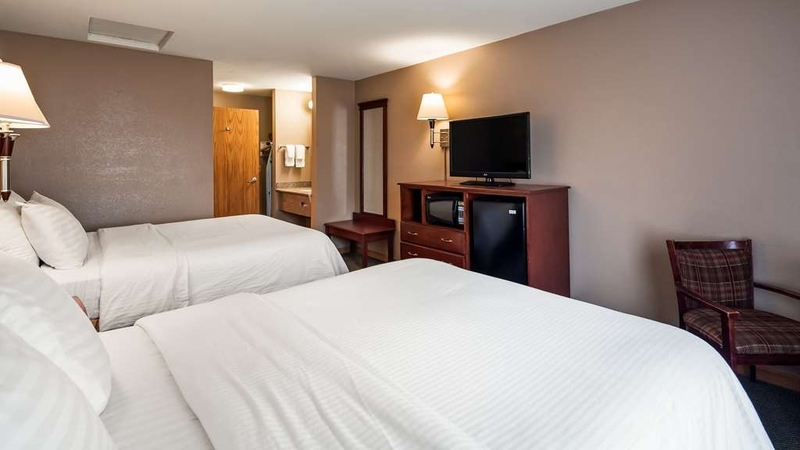 driving North you need to double back a little and there are some good restaurants and fast food places in the area, within a few miles..
"Newly remodeled; staff needs training"
The hotel has been remodeled recently and the lobby & rooms are pretty nice. Our room was very clean and we happy with it except for the air-conditioner. All of the air out of it smelled extremely musty; so much so that I had to sleep with the sheet covering my face. Breakfast was included which started at 6:30. We got there at 7:00 and most everything was gone including the coffee. We did ask for them to make more which they did. All of the tables were dirty, trash was overflowing, supplies were low but no one seemed to be in charge except for the front desk person who was busy with other duties. Finally someone came to replenish some of the food around 7:30. Little care was given to the breakfast area by the staff nor did most of the staff seem to care. "Very nice staff, friendly service"
"Clean Room and Comfortable Beds"
We have used this Best Western before, and will probably do so again. 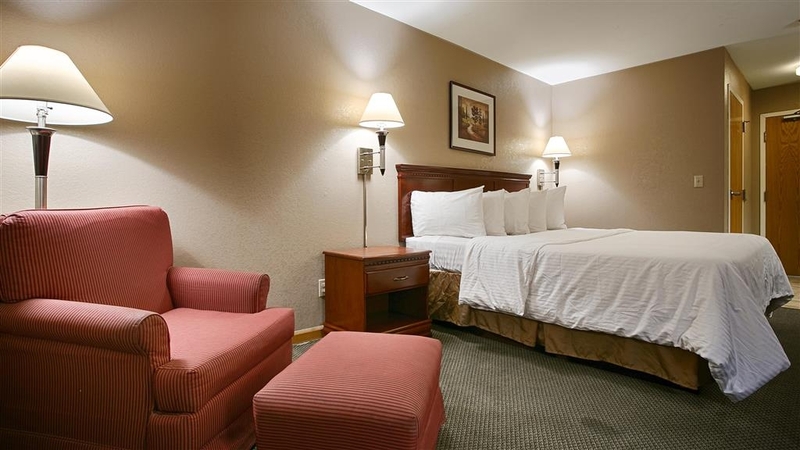 Although the hotel is showing some wear and tear, it is nicely maintained and the rooms are clean. The breakfast area is small but nicely stocked. Beds are firm. Smelled bleach in our bathroom which tells me it had been sanitized. My only negative is the fact that there is no elevator to the second floor. Hauling a 40 pound suitcase up the stairs at the end of a long day can be a challenge. "Open during construction - 2 Night stay"
I have stayed at this hotel a few times since late 2015. I just completed a 2 night stay on business. The hotel is currently adding a new section of building which is suppose to feature 10 additional suites. It's a relaxing and quiet hotel overall, but the rooms badly need updating to the newer Best Western decor and furniture. The lamps also need updating to the modern “rocker switch with outlets” to charge your phone, like all the other Best Western locations feature. Finding an outlet in reach was difficult. Aside from that, the rooms were clean and housekeeping was friendly. Love how the pool and spa are secluded away from street or parking. Breakfast is free as is the WiFi. Parking lot is small due to the ongoing construction. There are no elevators so make sure you request a first floor room if you cannot climb stairs. 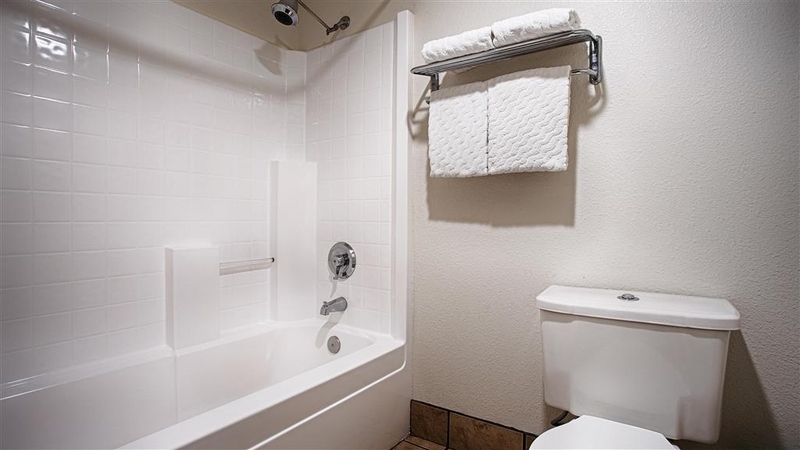 Some king bed rooms feature a large jet tub in the restroom, and are labeled as “suites,” but the room is the same size as all the others. I had no issues during my stay and look forward to staying here again in the next month for medical appointments in the area. While I am an Elite member of Best Western rewards, I chose to book through Hotels.com because their rewards are easier at earning free nights. The Best Western Galt Inn was a pleasant surprise. The room was very clean with all the amenities! The staff was very professional and helpful. The continental breakfast was way more than that. There were waffles, eggs, turkey sausages, cereal and so much more. The bed was very comfortable. And we even got to enjoy the pool and spa for a bit. Would definitely recommend this hotel to others! It's not the best Best Western I've ever stayed in but it was okay. We stayed here for an early morning half marathon in Lodi. The staff gave us some yogurt and muffins before we went to bed and allowed us to check out at 1pm. We were able to rest after the run and not have to rush and leave with all our stuff at 6 in the morning. "Best Care Ever (my first review was for wrong motel in Galt)"
While transporting my husband to a memory care facility, the evening shift staff member (Terri?) helped immensely. She aided with luggage, snacks, and encouragement. She “made” the night's rest perfect with two soft blankets for hubby. So grateful!!! This was one of the worst experiences I have ever had in a hotel! When I booked the room I booked 2 queen beds, 2 adults 2 teens. When we checked in and got to our room, it was a King/disability room with only a small chair in the corner. We went back to the front desk and asked for the room we booked. The told us they were sold out and there was nothing they could do. There were also no more cots left they could give us. So here we are 4 people & 1 bed. 3 of us slept on the bed while my daughter slept on the floor. At 1 am someone tried to get in our room. If it hadn't been for the safety lock they would have gotten in. But my LE husband met them with his duty weapon in their face. It was a staff member! In the morning when my husband went to speak with the manager, he was told because we booked the room through a 3rd party there was nothing he could do for us. When he was told about the employee trying to enter our room at 1 am, the manager told my husband that was not what the employee told him. That it was a guest that was given the wrong key my mistake. Needless to say, buyer beware. Booking this hotel through a 3rd party (TripAdvisor/Hotwire) you will be treated horribly! And make sure you latch that safety lock if you don't want an employee trying to come in your room at ungodly hours for unknown reasons. "New Building in the Parking Lot"
Stayed here on traveling north. There is an addition to the hotel currently being built in the parking lot. Best place to stay in Galt. Price is low, easy to get on/off highway 99. Hotel is always full. Room was clean and comfortable. Owner/Manager is ridiculously cheap. I needed to print some agenda items to pass out at a meeting while visiting and he literally demanded $.50 each sheet of paper. Come on- really? No where to be cheap and where to view it as good customer service. "Room smelled and no hot water"
Worst BW stay ever had. Room smelled of urine on entrance. Hotel full and could not change rooms. They put us in a ADA room when one was not desired. No hot water even turning it all the way to hot at 6:30 am. Will not return. "The only place in Galt we'll stay"
Everything is comfortable, easy to use, contributes to restful stay. Did not use pool or fitness room, just wanted a good night's sleep on our trip. Mission Accomplished. Staff knew the name of excellent restaurant -- Brewsters -- for nonpareil meal. Thanks! this is not fancy stuff but worked fine. the night clerk helped my find some tea as I was east coast and up early ... nice guy Also left items behind and they saved and bagged them for me. When I called they tagged with with my name so I could pick it up quickly. Headed back to smf they even saved my bag of potato chips! Location was convenient but no elevator on a 2 story hotel with inside doors is challenging. Currently under construction to add more rooms, but in elevator, & enlarge breakfast area. Price was good for the quality. Parking also limited with construction . I was just very disappointed when I walked in the hotel lobby I had to wait almost 10 minutes for the front desk clerk and a cell phone call so that I could check in. Also, there was no one in front of me waiting in line. "Had a Nice Stay for 3 Nights & Front Desk Very Service Oriented"
We had a nice stay for 3 nights. The hotel has a pool & workout room. The breakfast is hot and cold. The rooms were nice and up to date. Hotel is located in center of the area in town. You'll do well here to stay. We had a total of 9 kids with 2 adults sharing the rooms at this hotel. We were very pleased by the accommodations and the location of the hotel to our event. The décor was nice and the rooms were clean. Breakfast is always great at the BW. We have never been let down. This is a great place to stay for a great price. 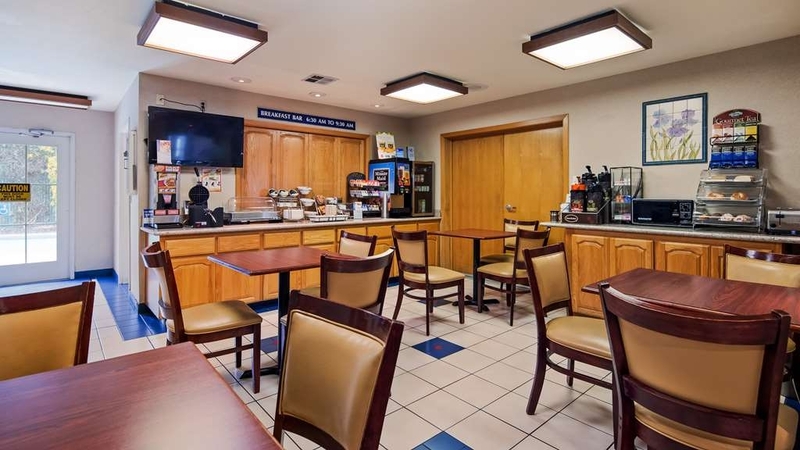 Small motel not far from Sacramento with convenient access on and off highway 99. Very clean. Polite staff. No (public?) elevator, had to lug my luggage up stairs to the second and top floor. I appreciated the breakfast bar. This hotel is not in the best location. This hotel charge $.25 per page to print or make copies. Witnessed the clerk give keys to people who randomly asked without asking for verification. Breakfast was ok and the staff was friendly. "One of Top Two hotels in area"
Very comfortable hotel with a great location. Only a few miles from downtown Galt, where you can fine a few good restaurants. The second floor is more quiet, but there is no elevator. It has the typical buffet breakfast - same every day, but tasty. Non attentive front desk at check in and check out. Front desk attendant was on phone when I arrived. No acknowledgement from him for 5-7 minutes. Poor internet speed so I used my phone data for internet. Room had an odor. Was asked by same front desk attendant to ring bell for check out service. No one responded after 2 rings so he came to check me out of hotel. While he was in the process, the 2nd attendant walks out of the office right by front desk. Don't know if she was an employee or not. She did not have a visible BW badge or attire. She did ask how I was doing as she walked by suggesting she worked there. "A Good Stop for Tired Travelers"
We had not made motel reservations for this night as we did not know where we would be when it came time to stop. When it was later in the day we called a place we had stayed before but it was fully booked. we called another motel and it was also booked up. This motel appeared on our GPS so we said why not give it a try. We were very glad we did. General Manager Jessie and front desk receptionist Kuijit, are amazing, helpful and concerned about each guest and ask for feedback. You can tell they aren't in a job to just punch in and punch out. They clearly want the best for their hotel and their guests. Still feel this is the second best hotel in the area from Redding Ca. to Turlock Ca. 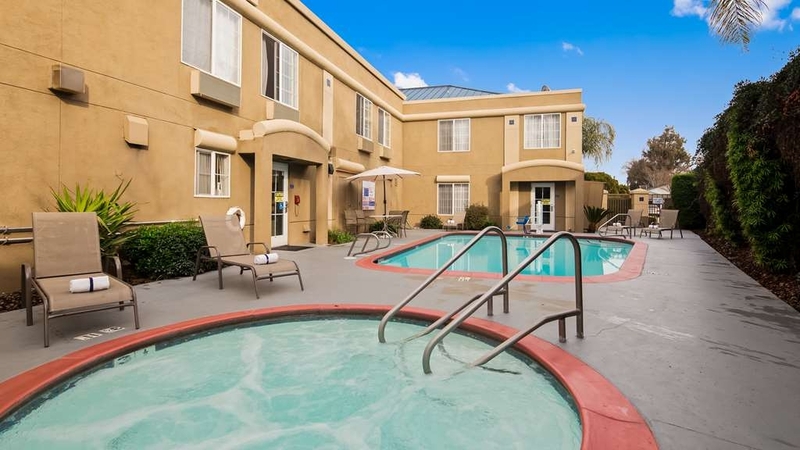 and only second to Best Western in Rancho Cordova. It's what I expect from Best Western. Consistently very god with no surprises. It's a little out of the way for a freeway layover. And, maybe a bit hard to find without a GPS. But, that's the worst I can say. The property feels slightly dated. But it's well maintained. There is no elevator so if you have trouble handling your bags, get a first floor room. The hotel was clean and had a nice breakfast included in price of room. The staff was very pleasant and helpful. We asked about a place to have dinner. They asked what kind of dinner place we were looking for. The staff recommended several restaurants and gave us directions. They ever offered a breakfast on the go if you where in a hurray to get going. Very comfortable beds, clean room, tasty breakfast. We stayed 4 nights due to the Cascade Fire evacuation. The desk clerk was very accommodating as we booked day-to-day, since we didn't know when we could return home. We would definitely stay again - hopefully under better circumstances !! This BW is close to restaurants and shopping - just a couple miles away. "Great Great Will Use Facility Again"
margierk, Thank you for providing us with feedback and we are glad you will be returning. We are also happy to hear you enjoyed the new mattresses. Thank you and see you again soon. "Very Nice Stay in Galt"
Hotel was very clean; nice complimentary breakfast. The staff at check in was friendly and very efficient. The Hotel Staff made a restaurant recommendation for dinner in town -- Brewsters, which was great! 164doloresl, Thank you for taking the time to provide us with your feedback. We truly appreciate it. Our guests love Brewsters, so I am glad to hear you did as well. We hope you will come see us again soon. Thank you! Many thanks to the Galt staff, especially Jessey, for making sure my extended stay was comfortable and easy. Breakfast was plentiful and great, the room was clean and functional, and my stay was peaceful and quiet. 917erini, Thank you for your loyalty to our brand and providing us with your feedback. We are glad you enjoyed your time with us and we hope to see you again real soon. "Better Than Those That Cost Twice As Much"
The room had coffee, refrigerator and microwave. It was clean. Check-in staff was very friendly. We stayed on the 2nd floor and could see the pool from our room. We didn't mind that there wasn't an elevator. After 11 hours of driving thru the high mountain trail. I shall be reward by a good place spending the night. This place gave me a very relax and comfort before continuing another 10-12 hours drive. From checking-in through checking-out, it was over my expectation. Thanks for quiet night. permaskt2017, Thanks for your feedback as we truly appreciate it. We are glad to hear you enjoyed a nice relaxing night with us. Hope to see you again soon. I had issues with getting up stairs, the Manager moved my room downstairs with class and quickly taken care of me. The breakfast was well prepared and laid out with care. The refreshments and coffee was good and the stay was comfortable. A great place and worth a return visit when working the area. I will be back next month and I found a family atmosphere. Just passing through on our was to Fresno. Nice, clean, and quiet place to stay. The girl at reception desk was great. We didn't get there until 10 pm and she was mopping floor when we came in. She was so sweet. Would definitely stay there again. Susan W, Thank you for taking the time for providing us with feedback. We are very happy to hear you enjoyed your stay with us and we hope you will consider us again when you passing through the area. We truly value your feedback! The hotel was average good. Nothings exceptional. Did not have conveniently located electrical outlets for my devices. I had to charge my phone across the room over night. I've seen hotels have USB ports near or on the nightstand in the past. This should become standard practice. Other than that, the room was nice, it had a very comfortable bed. Hotel was clean and comfortable. We would highly recommend this hotel if you are staying in Galt. We were attending a 50th wedding party at the Heritage Oak Winery. It was from 1 to 4 in the afternoon and the temperature was 106 degrees. Very Hot day, so it felt good to get to the hotel in a nice cool room! Juanita G, Thank you for taking the time to leave a review, as we truly appreciate it. We are glad to hear you enjoyed our brand new mattresses! We hope you will come visit us again when you are in the area. Thank you! Helpful staff, clean room, great breakfast; and most important: Quiet. The Staff was very helpful and informative. Amy on checkout was very friendly and inviting. She answered all my questions. We had our 3 year old granddaughter with us and the room was terrific. The beds were very comfortable and the air conditioner was fantastic. Will be back for sure. H1462TLjoshh, Thank for taking the time to leave us a review, as we truly appreciate the feedback. We are glad to hear you enjoy your stays with us and we hope to continue seeing you! Thank you for your loyalty to our brand. Stayed one night. They have nice pleasant staff. The pool is a good size. Room decor is nice. The free Internet works great. Clean rooms. They were completely replacing all of the mattress's on my check out day, which means they care. Huge size Jacuzzi bathtub worked excellent! Breakfast with a professional waffle machine (Yum). Rolez P, Thank you for your feedback as we truly value it. We are glad to hear you enjoyed your stay with us. Yes we have replaced all mattresses and hope you will come see us again soon! Glad you enjoyed the jacuzzi and waffle machine. "ys because it was open reservation"
For an economy night's sleep in a "hotel" sandwiched between two gas-stations next to a freeway in a poor town in the valley, it was just fine. Bed was pretty comfortable, room was probably clean, and staff were friendly if not particularly professional. If I had to stay there again, it would be OK.
sarahA9842BV, Thank you for your feedback, as we truly value it. We are glad you enjoyed your stay with us and we hope you come see us again soon! This is an excellent hotel half way between Sacramento and Stockton. The purpose of my stay was to be near Lodi, and this helped me relax prior to my duties in Lodi and before returning home via SMF. The A/C was particularly helpful!! Patrick H, Thank you for your review as we truly value your feedback. We are very glad to hear you enjoyed your stay with us and hope you come relax again with us in the near future! Thank you. the hotel is super clean & great staff!!!! I would highly recommend! super easy to find right off the freeway. Free internet and breakfast! they also had breakfast to go, which made life so much easier! rupeeb2017, Thank you for taking the time to leave us a review as we truly value your feedback. We are glad to hear you enjoyed your stay with us! We hope you come see us again real soon! This is a pretty old hotel and you can tell. The bed was very uncomfortable, pillows were terrible, and the smell was awful. Using freeway hotels are getting more and more difficult to trust. BW used to be one you could count on but not anymore. In addition to the above we were woke up about 4:30am by staff preparing to get the breakfast area ready and the TV in the lobby turned to cartoons and loud enough to be heard in the kitchen area. We decided to go ahead and get going since we were awake, I mentioned to the clerk that you could hear the TV in the room - his comment - I was in the kitchen - and began to argue with me. Hotel was nice and easy access to hwy 99. Room was clean, and staff was very nice and helpful. Beds were not very comfortable. Breakfast area was very small. We asked for two rooms next to each other and when we got there they were at different ends of the hotel. Aliandrew C, Thank you for reviewing our hotel and providing us with feedback, we truly appreciate it! We hope you come see us again real soon. We are currently in the process of installing all new beds! Thank you once again! I stayed 2 nights at this hotel. I made sure to remove the do not disturb sign for my room to be cleaned because I needed to get ready for a wedding. Came back at almost 3pm and the room was not cleaned. All the staff said was "sorry". So my room was clean only the day I arrived and dirty the rest of the time. anitaQ8147ID, Thank you for providing us with your feedback. On behalf of the staff, I apologize your stay didn't go as expected. After reviewing your comments, we have implented a new process that can help prevent this from happening in the future. We hope you will give us another chance in the future. Once again, thank you for your feedback. NEVER STAY Here run for the hills ...... They will not get your room right it will not be clean and if you need a handicap room they will give it to a family with kids that don't need it. This place should be closed down and never reopened again !!!!! richardcw920wc, Thank you for your feedback, as we truly value it. On behalf of the entire staff, I would like to apologize that your stay did not go as expected. We hope you will give us another chance in the future to make it right. Once again, thank you for your feedback. Hotel was perfect for us. Room 101 was nice but had a strange smell but other then that it was a great stay for the price. Breakfast was included and hotel staff were all very nice and helpful. Would stay here again! lupe g, Thank you for leaving your feedback as we truly value it. We are so glad to hear you enjoyed your stay with us! We hope you come see us again real soon Thanks! We checked in with a friendly staff at the front desk. Had a VERY good night sleep in a comfortable bed. The rooms are small, but had everything we needed. We had to cancel the last night of our stay and the staf was very helpful and willing to cancel the room, although it was within the 24 hour window. I was very impressed how helpful they were. Would definitely stay again. camillia2016, Thank you for leaving your feedback as we truly value it. We are so glad to hear you enjoyed your stay with us! We hope you come see us again real soon! Thanks! Easy to get to, easy parking, great room that was exactly what I expected. The girl at the front desk recognized that I came in late, and offered late checkout without me having to ask. Then in the morning, they called about checkout and accepted that I had late checkout without any proof. Great job! omarr304, Thank you for leaving your feedback as we truly value it. We are so glad to hear you enjoyed your stay with us! We hope you come see us again real soon Thanks! "Really comfortable and quite room"
790vee, Thank you for leaving your feedback as we truly value it. We are so glad to hear you enjoyed your stay with us and were able to get a good night's rest! We hope you come see us again real soon Thanks! Great experience, loved the hot tub, desk clerk was friendly and informative. Loved eating breakfast outside by the pool. We will use this brand again! Good idea t book in advance as rooms fill fast. Thanks best wetter! vickiec530, Thank you for leaving your feedback as we truly value it. We are so glad to hear you enjoyed your stay with us and were able to enjoy the pool! We hope you come see us again real soon Thanks! Very helpful staff, went out of their way. Handy location with a good price. No elevator. Clean room, comfortable bed. Small breakfast room, but food was tasty. Our night we sat down there with a bottle of wine. Thank you for providing us with your honest feedback. We truly appreciate it and are glad to hear that you enjoyed your stay with us. We hope to see you again in the near future! "Good place to stay in Galt"
Nice place. 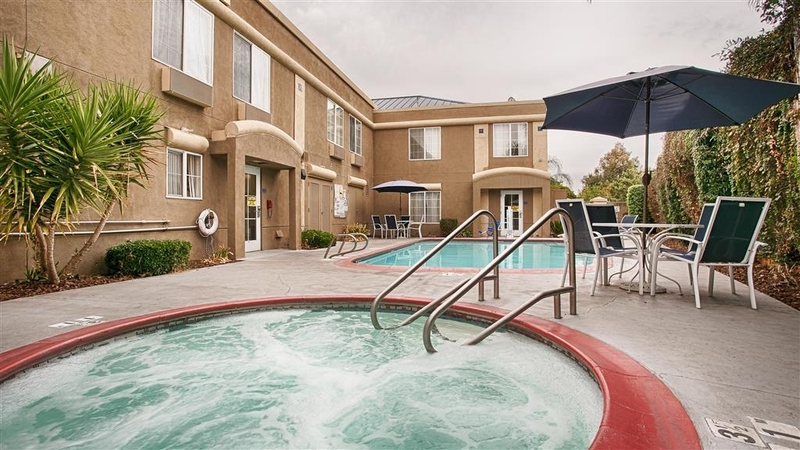 For your money, probably one of the best places to stay in Galt. The breakfast was decent and well laid out. The rooms were comfortable and the beds were nice. The service was very good. We were well taken care of. battmast, Thank you for your review as we truly value your feedback. We are glad you were satisfied with our stay and we hope to see you again in the future. Thank you for your loyalty to our brand. Khizran A, Thank you for your review as we truly value your feedback. We are glad you were satisfied with our stay and we hope to see you again in the future. Thank you for your loyalty to our brand. "I will never stay here again"
This place is a dump. It is loud all night long with smelly rooms and common areas. Many things in the room were broken or not functioning and the staff made no attempt to remedy any issues. On a letter scale this place is an F.
I had to stop after a 10 hour drive. Made the reservation ahead of time. Got here and my room was given away. The adjoining door lock didn't work. The staff was rude and I was double charged. The manager didn't know I had been given a double queen and charged me for the night a second time. Unplanned trip for memorial service. Good experience at the Hotel. Just wish some of the rooms with king beds were on the first floor. Not all guests are spring chickens and carrying luggage up the stairs can be a challenge. The mattress was hard as a rock and very old. I work in the prisons and the inmates get served better food than the complimentary breakfast provided. The location of the hotel was too close to the freeway which made it very noisy. To top it off there is no elevator which makes it difficult when carrying luggage to the second floor. Only good thing the room appeared clean. Just arrive to the hotel after a long day. The staff was friendly at check in and the room is nice and clean. Kids are heading to the pool and seem happy with it. Judging from what we've seen so far I'm pleased with our visit. Walls are a bit thin. I can hear someone sneezing in the hall. little m, Thank you for your review, we truly appreciate your feedback. We are glad to hear you enjoyed your stay with us and we hope to see you again soon! The staff is very friendly and helpful. They provided complimentary toiletries upon request. The room was clean and comfortable with two desk areas. A very nice breakfast was included. Pillows could have been more comfortable. There were some small stains on the upholstered chair and ottoman. 635cathyt, Thank you for your review as we truly appreciate the feedback. Your good reviews will be shared with the staff and we are glad to hear you enjoyed your stay with us. We look forward to seeing you again in the future. I was pleasantly surprised with this hotel. I normally stay at Marriott or Holiday Inn. This hotel was clean, friendly and had a selection for breakfast. It is not a higher end hotel, but it didn't feel like a cheap hotel. virginiab N6176QL, Thank you for your feedback as we truly appreciate it. We are glad to hear you enjoyed your stay with us and found us to be a great value deal. We hope you come see us again in the future. I have stayed at this location many times. They are very consistent with their high quality customer service, which is comforting. The jacuzzi is working again, which is critical to my having a relaxing stay. I appreciated the girl who was working the front desk, as she is always pleasant, helpful, and cordial. The staff was very helpful throughout the whole process of checking in and out. Rooms were great and the hotel was clean. The breakfast was also very satisfying. I would recommend this hotel to anyone whole was passing through the area. We stayed 3 nights for a family wedding, and were completely satisfied with our room, and all of the amenities. We enjoyed the breakfast and the fitness center. 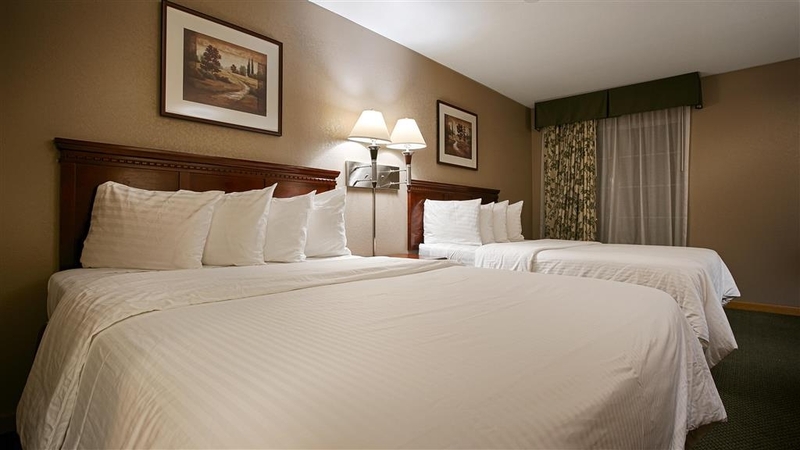 We compared rates with hotels in Elk Grove and found BW Galt to be more economical. I was not familiar with hotels in area but preferred to not be in Sacramento. Most reviews were favorable and my wife and I stayed here. We were not disappointed. This BW is right off of HWY 99, so easy access. Traffic noise is not a problem. We stayed 3 nites and found our room clean, comfortable, and quiet. The personnel and management at front desk were very kind and helpful. There are gas station/convenience stores across the street but it's a short drive(north or south) to food and shopping. I would stay here again. "Great value, clean quiet place to stay"
On a 650 mile road trip, Sac area was my mid point... but I knew I didn't want to stay in SF or downtown Sacramento (or anywhere farther south in the Central Valley). ... I booked here and was pleasantly surprised! It was clean and quiet both times I've stayed, room was nice and large, bed was very comfortable. I think it would be a nice place to stay for someone doing business in Sac. Good stop for family on a road trip. Easy freeway access and there are some restaurants and stores easily found only one Exit south on the freeway. Avoid the busyness of Sacramento and rest here instead! 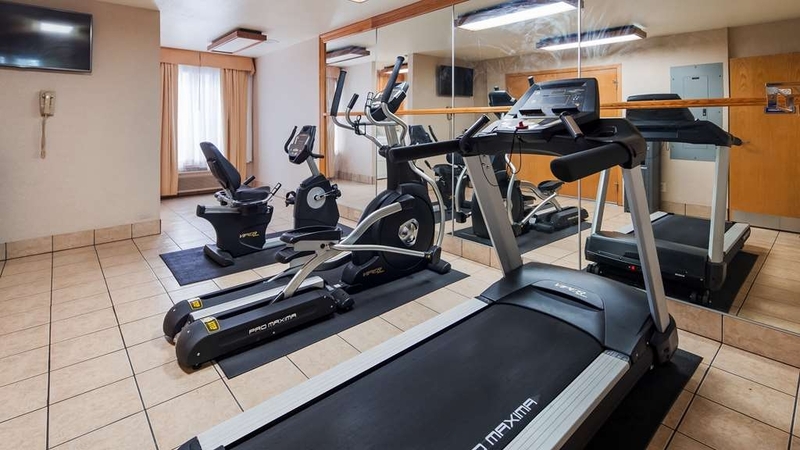 *also has fitness room and a pool/hot tub but I did not use those. I have stayed here a handful of times and never had any complaints. The staff is friendly,breakfast good, and the rooms are nice and clean. Great for a family with kids in the summer it has a pool and spa. There is also a fitness room which is nice. Kellie B, Thank you for leaving your feedback, we truly value it! We are glad you enjoy your stay with us and we hope to keep seeing you in the future! Thank you for your loyalty to our brand. When you first enter the lobby there is a terrible smell. The room also had a bad smell as well. The bed was old and saggy. The whole place just didn't feel clean to me. The breakfast was ok, hard to mess up pastry's, bagels, cereal and yogurts. I didn't eat the egg or sausage, it didn't look good at all. Michelle A, Thank you for leaving your feedback, we truly value it! We apologize that your stay didn't go as planned and your comments will be discussed at the next staff meeting. We hope you will give us another chance to make it right. Thank you for your loyalty to our brand. I have brought my mother-in-law and my sister-in-law to stay in this hotel because I knew from past experience that we would be taken care of and comfortable. They loved it, and also took advantage of the complimentary breakfast. My sister-in-law loved the bed! My mother-in-law was not too happy with the pillows, but all three of us had a good stay. Christina M, Thank you for leaving your feedback, we truly value it! We are so glad to hear you will return and that you and your family members enjoyed your stay! Looking forward to seeing you again real soon! We usually stay at the comfort inn down the street which is a little pricier. We could not get in there so we tried here. We were curious as to the difference in the 2. 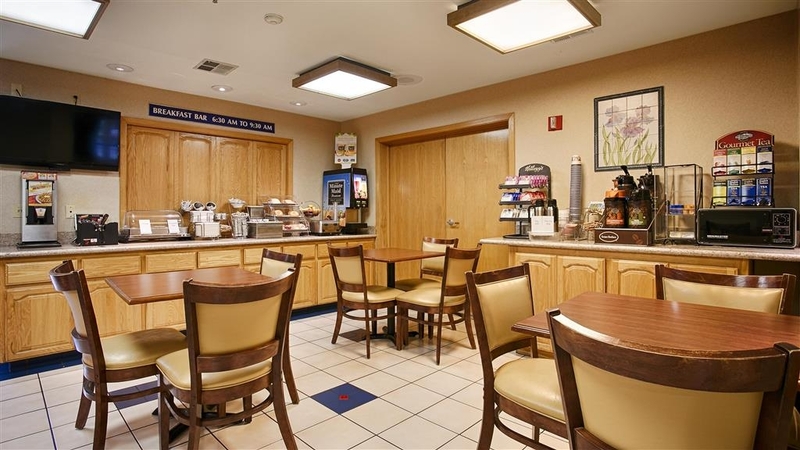 Comfort inn is a little newer and has food locations walking distance from the hotel and the rooms are a little bigger. Other than that pretty much the same. There free breakfast is what it is at both places....not that great but it will do the job!! The 2 hotels are about 4 minutes apart if that..
David N, Thank you for leaving your feedback, we truly value it! We hope you will come see us again in the future. Thank you for your loyalty to our brand. This Best Western location is of an average rating; however, the price is very reasonable. The staff was very pleasant and helpful! The exterior landscaping was really nice. It was easy to get to off Hwy 99. We did not hear road traffic. We come to this region for wine tasting and do not spend significant time in the room; therefore, this hotel works fine for us. JustLookUp, Thank you for leaving your feedback, we truly value it! Glad to hear that your stay with us went well and we hope you will come see us again in the future. Thank you for your loyalty to our brand. I've stayed at Best Westerns before, and they were usually pretty decent. This one wasn't. While the floor looked clean, it felt grimy. The beds were horrible; the mattresses are years past their prime. Towel came pre-planned. All in all it just felt like it had an air of neglect. Thank you so much for The BEST stay ever. We will be back again. We felt like family. Everyone was kind and attentive to all our needs.I would recommend this Hotle to anyone travling. Very clean and quite place to rest. Very accommodating staff, loved our stay. Already booked a room again for next time we will be in this area. Will recommend this place to the rest of the family when we come back for a wedding.Looking forward to the Jacuzzi tub again! "Front desk person either lying or incompetent"
We specifically asked for a quiet room, and the desk clerk said she did give us a quiet room. In fact, we had the one closest to I-5, which has trucks rumbling by 24 hours a day. This is probably the noisiest room in the entire hotel. So either the clerk was lying by saying it was quiet, or she didn't know what she was doing. Either way, it was a 2-Ambien night. Also, the hallway was not air-conditioned, which I understand saves the hotel money and is ecological, but when it is over 90 degrees outside and you are trying to lug your suitcases up the stairs in that heat, I think they should provide at least some ventilation. This hotel is right off the highway, but the rooms are quiet and clean. Everyone at the hotel is so friendly and helpful. The bed is a little hard for me, but the rest of the family likes them just fine. "What you would expect but a deals a deal"
Obviously not fine hotel staying but for a good night sleep and need somewhere to stay overnight on the 99 I won't complain. Stayed there for an early morning family event the next day and was nice to not get up crazy early and drive from the Bay Area. Boyfriend and I went in the pool and hot tub and was clean and well kept. Breakfast bar was the typical cheaper hotel breakfast but they made it neat with mini Nutella packets. When watching TV it had interesting programming. Like news was on a loop. For example a big national event happened two days prior but Tv was showing as if it was breaking news... Felt a little twilight zoney. But other then that for a highway side hotel felt safe and secure for the night. Rooms were clean but we spilled some water on the carpet and while wiping it up a strange dirty orange color got on the towel... We were a little freaked but the rest of the room was fine for the night. You pay for what you get but if we have other events out there we would stay again.... And maybe wear socks/ slippers. "Date night close to home"
We're a husband and wife who came from only 15 miles away to have quiet alone time. We had a great dining experience in Galt followed by an overnight stay that was pleasant and relaxing. The hotel was impeccably clean and very attractive. Service was gracious. The hotel had all the amenities we could want, including free wi-fi. We'll come here again. To make a long story short, the hotel was remodeling the room next to mine. Even though I asked them to stop twice they were still working in the room at midnight. I went down to the front desk and no one was there. I rang the bell and one of the people working in the room came down to see me. Even after I asked them stop at midnight they continued to work for another 10 minutes. "Nice and comfy place to stay"
The room was nothing special other than clean with a comfortable bed. There was some construction going on, at 11 on Saturday night. That was the only glitch. Nice pool. The spa looked nice but we didn't use it. Wonderful breakfast, especially for me a a diabetic who appreciated the meat and eggs as opposed to waffles and pastries; which are available to. The breakfast room was tiny, but may be being remodeled as there was work going on. Exercise room had a nice selection of equipment. Very easy highway access. Staff very helpful. Other than the one night construction it was pretty quiet. We spent 5 nights here in two queen rooms on the first floor close to the pool. 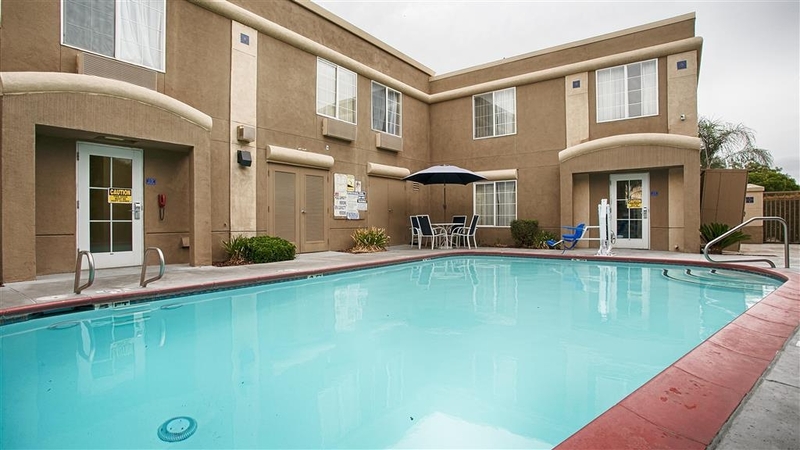 What a terrific gem, close to the freeway, great staff, clean rooms with comfortable beds and we took full advantage of the pool and hot tub ! Breakfasts were simple, scrambled egg with sausage patties, fresh fruit, yoghurt, toast, bagels or "make it yourself" waffles with syrup. Pleasantly surprised - well done ! good room, but a little bit smelly at first. location was creepy , some people were drinking in the parking lot. We just need it for a night between Yosemite and Sacramento, we picked BW , Galt due to price and proximity to Sacramento. mgmlake, Thank you for leaving your feedback, we truly value it! We hope you will come see us again in the future. Thank you for your loyalty to our brand. 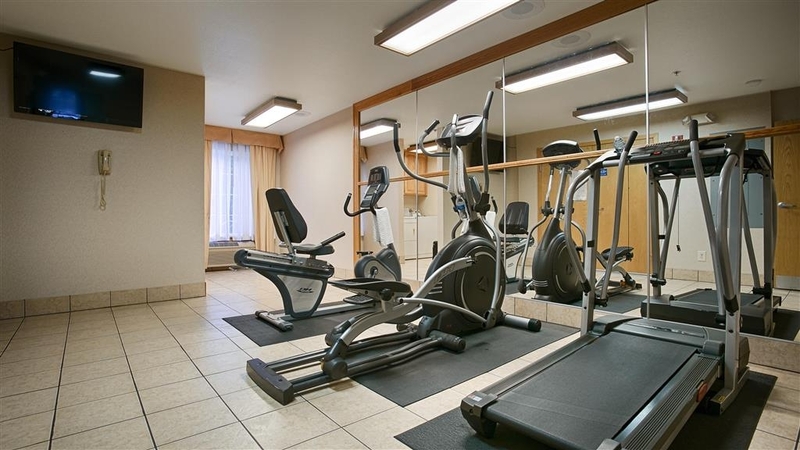 Excellent hotel, clean, comfortable, small gym, good breakfast. Noise on first floor when someone checked into second floor was awful. I will try this hotel again but will stay on second floor only. Outside of the noise, everything else was fine. Terri K, Thank you for leaving your feedback, we truly value it! We apologize for the noise problems during your stay, but we hope you will give us another chance and come see us again in the future. Thank you for your loyalty to our brand. "Pay a little extra for a better hotel! " 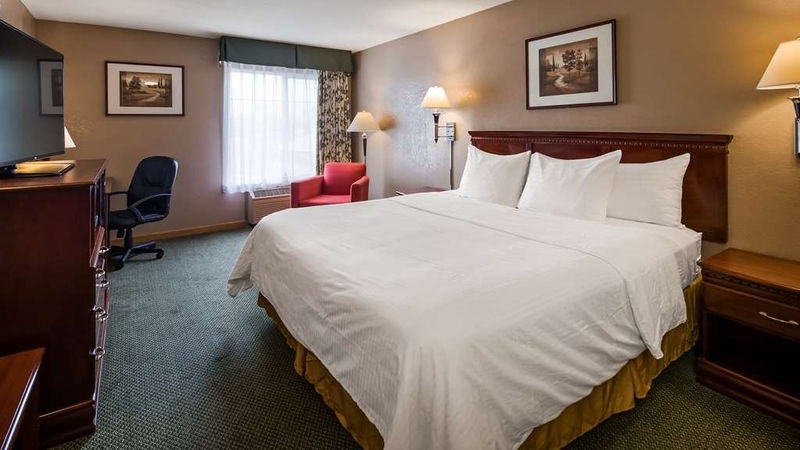 We are a family of three with a toddler, and we stayed at the Best Western in Galt because it was a cheap option during an expensive wedding trip. In hindsight, we should have spent the few extra dollars to stay at a better hotel. While the room was clean, the carpet had a strong odor. We had to open the window everyday to air it out, even though the weather was over 100 degrees Fahrenheit. Additionally we were not able to connect our room with our other family members staying in the hotel for the event. Hugjessica, Thank you for leaving your feedback, we truly value it! We apologize for the inconveniences during your stay. These comments will be discussed with staff. 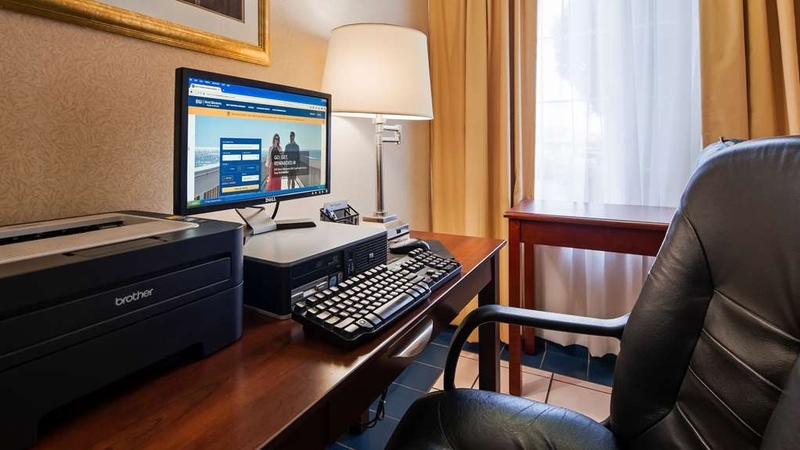 Although we do have a few connecting rooms, it is not always guaranteed the guest will get it as the rooms may be already occupied. We hope you will give us another chance in the future. "For this area I highly recommend"
I have stayed at multiple hotels in and around this area. I have made this my go to hotel for multiple reasons. 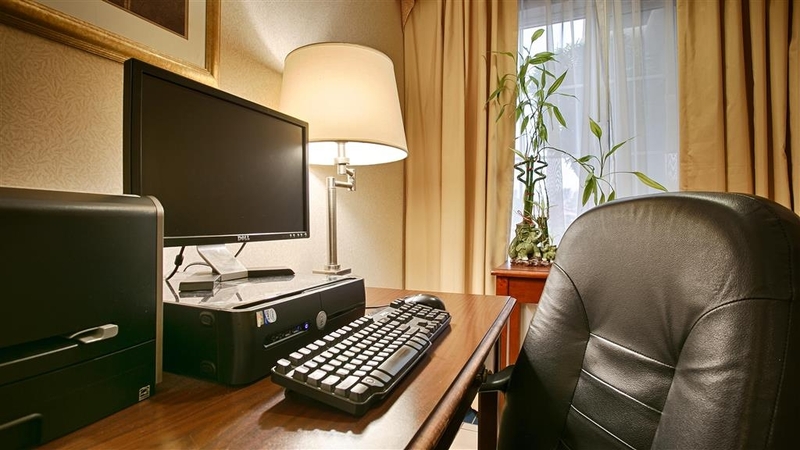 It is by far the overall best value in comparison to the other hotels in the area. For the location I feel that the cost of the hotel for one night is a bit higher than they should be charging. The staff are great! Christina M, Thank you for leaving your feedback, we truly value it! We are glad that you choose to stay with us time and time again and we hope to continue seeing you. Thank you for your loyalty to our brand. This hotel is comfortable, clean and casual with all basics included. Staff was very proffessional and service great. Great value included both breakfast and pool use. Helpful directions for dinner plans as well. I would stay here with my family again if I was in the area. Given I had an unplanned visit on fourth of July this hotel provided everything needed as last minute service in a very nice way like it was any other day of the year. We felt welcomed and staff took time to explain directions in the area and were patient with kids using pool at late hour. Our hotel room was very neat and clean, beds were very comfortable and everything in perfect working condition. It was also quiet and peaceful through night and morning. I would recommend this hotel in every way. Frida P, Thank you for completing a survey as we truly value your feedback. We are so glad to hear you enjoyed your stay with us and we hope you come see us again real soon! "Another Wonderful Stay with Best Western"
Another wonderful stay at a superb Best Western hotel. I'm not a person who cares much for brand loyalty, but I have yet to have a negative experience at a Best Western hotel. Best Western Galt Inn was no exception to the quality service I've come to expect from their hotels. The staff at check-in were friendly, prompt, and provided details about breakfast, internet, gym, and pool facilities. They had no issue at all answering questions about the hotel and the surrounding area. Speaking of the surrounding area, it seemed very safe. I walked out to my car at night, the parking lot was well lit and quiet. I arrived at the hotel after 10 pm a couple evenings and had no issues at all. At no point did I feel unsafe or concerned. Most of the other folks at the hotel appeared to be either seniors or young families. It was a quiet, peaceful stay. No questionable individuals in the hotel or nearby area. It isn't a huge town by any means, but there are stores and restaurants within a reasonable distance. Galt is easy enough to navigate and I loved that as I have poor directional sense and become lost easily while navigating new towns. If you want a bigger city, Sacramento is an easy 30 - 45 minute commute away depending on the traffic. Breakfast offered scrambled eggs, sausage patties, various cereals, milk (whole, 2%), soy or almond milk, yogurt, waffles, doughnuts, bagels, toast, orange juice and coffee. I must mention, while it was a standard breakfast for a BW hotel, the scrambled eggs and sausage here were by far the best I've had at a hotel. Eggs were fluffy, sausage tasted fresh. Rooms were clean, well taken care of, lots of lighting options, quiet A/C unit. The housekeeping staff is friendly, personable, and quiet. barnesd203, Thank you for completing a survey as we truly value your feedback. We really appreciate your detailed review!! 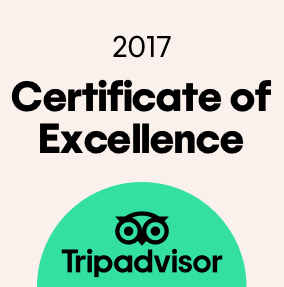 We are glad to have met your expectations and we hope you come see us again in the future! Enjoyed the pool and spa. Relaxing getaway. Excellent breakfast! Had one minor embarrassing moment when we walked into someone else's room, (yes, our room key worked on their door!) Staff quickly resolved the issue. Judy L, Thank you for completing a survey as we truly value your feedback. We are happy to hear you enjoyed your relaxing stay with us and we hope to see you again soon. This is a small hotel with a big heart. The nightdesk attendant was extremely personable and welcoming. The room was average sized and clean. The air conditioning was adequate, but took a while to cool the room down. The breakfast room was small, as was the selection,but to their credit it was very well maintained. Also to their credit late arrivals for breakfast were allowed to eat and not rushed away. The room rate was very reasonable. We will stay here again. We've stayed in 5 different hotels in five nights and this was the only one we gave 5 stars. 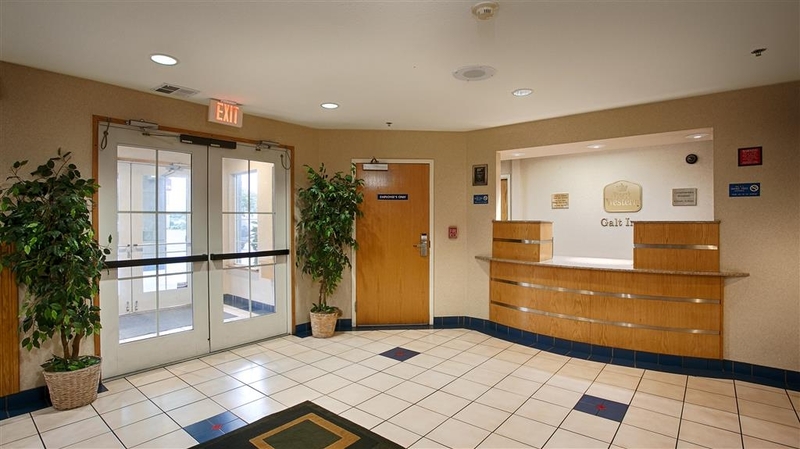 "Great Stay and Great Value"
My recent stay of 3 nights at the Galt Inn was a very pleasant experience. The hotel is very well maintained and the staff are very pleasant and helpful. The type of guests staying at the hotel seemed to be pretty solid, with no trouble of any kind noted. The room was spotless and showed the kind of attention to maintenance that other hotels should emulate. I thoroughly enjoyed my stay. Thank you for completing a survey as we truly value your feedback. We are so glad to hear you enjoyed your stay with us and we hope you come see us again real soon! We stayed in Galt when traveling. Was a much better experience than last year when we stayed in Lodi! The rooms were clean, the breakfast was good - husband said the waffles were the best he has had in a motel! The front desk person was not great -was on the phone when I came in, didn't acknowledge me for probably 4-5 minutes, then continued on the phone for another 5 or so. Gave the worst directions I have ever received for a restaurant. i.e. "down the road a little to a light, then if you want to go here, turn left, if you want to go there, go a little further, then turn left and it is around the corner, sort of". Geez. A printed map would have been helpful. No elevator, and no king rooms on the first floor, but a great value for a quick stay with a good breakfast. GirlsGranny, Thank you for completing a survey as we truly value your feedback. We apologize on behalf of the front desk staff and your comments will be discussed at our next staff meeting. We hope you come give us another chance and thank you for your loyalty to our brand! "Best Western Stay Caring for Family Member"
This location was very near to my elderly father and although it was a bit noisy on the weekend, the accommodations suited my needs. Staff was very helpful and friendly.... Spa not working, a bot frustrating but overall good hotel for the money. Jacquelyn F, Thank you for completing a survey as we truly value your feedback. We apologize for the spa not working at the time of your stay, it needed some minor maintenance, but it is working now. Thank you for your loyalty to our brand and we look forward to seeing you again! "EVERYTHING IS BETTER THAN A 3 STARS HOTEL." Look good view from the streets. Breakfast has enough foods above normal. Reception counter was very happy to help travelers. Need to have some welcoming drinks as coffee, fruit juice or cool lime water. Hung C, Thank you for completing a survey as we truly value your feedback. We know you have other choices when choosing where to stay, and we are very glad that you decided to stay with us! Thank you for your suggestions, we will take them into consideration! Thank you for your loyalty to our brand and we look forward to seeing you again! "Good stay for the price"
This is a nice little hotel with decent rooms and very pleasant employees. The breakfast is good and you can't beat free. No elevator in this hotel is the only negative. If you get a room on first floor this is not a issue and it is stated on hotel web site. Nice area location. Near highway, gas station across the street with a few eateries close by. MRrafaelm, Thank you for completing a survey as we truly value your feedback. We know you have other choices when choosing where to stay, and we are very glad that you decided to stay with us! We are so glad to hear you enjoyed your stay. Thank you for your loyalty to our brand and we look forward to seeing you again! Giving this 2 stars because of a plugged toilet that was never fixed during our stay, plus the fact that a towel rack came out of the wall when trying to hang a towel to dry. 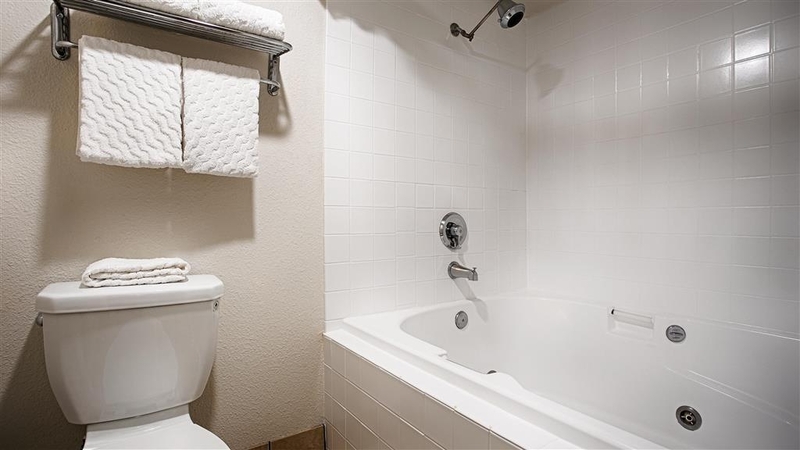 The front desk clerk was very friendly and tried to help, but this toilet needed professional help and we got the impression that housekeeping knew about it and in our opinion the room should not have been rented in that condition. Marie L, Thank you for completing a survey as we truly value your feedback. We apologize for the maintenance issues and we will discuss these with our staff. We hope you give us another chance and come see us again real soon! 7 hours from Palm Springs. Easy to get to on our way back to Canada. The price was exceptional for a very clean and comfortable room. Typical but ample breakfast. No elevator to second floor. Good room overlooking pool. Will stay again. Diane F, Thank you for completing a survey as we truly value your feedback. We know you have other choices when choosing where to stay, and we are very glad that you decided to stay with us! We are so glad to hear you enjoyed your stay. Thank you for your loyalty to our brand and we look forward to seeing you again! We had a lovely time and felt very relaxed at the Best Western Galt Inn. We were in the area for a family wedding and had never stayed in Galt before, but so glad we did. We are former residents of Lodi, but did not want to stay there this time! Will definitely stay there again next time we are down in the are. "Best Place to Stay in Galt"
The location was perfect, right off HWY 99 easy to get to and easy to get back on the Freeway in the morning. The town of Galt has lots of Charm & History.. and I might add very Clean.. Gas Station right across the street from the Hotel and plenty of restaurants to choose from. T.V. worked good and got a good nights sleep. NO NOISE from inside or Outside.. Good size parking lot. Clean and well appointed lobby. Our room was clean and ready for us when we got there and we got the room we reserved...The price was very reasonable and breakfast excellent. 633dalew, Thank you for completing a survey as we truly value your feedback. We know you have other choices when choosing where to stay, and we are very glad that you decided to stay with us! We are so glad to hear you enjoyed your stay. Thank you for your loyalty to our brand and we look forward to seeing you again! "Stayed for a week "
Stayed at this motel a few times, the front desk staff was helpful and kind, I think the up stairs rooms are better than downstairs, overall clean and quite, I had the breakfast one day and I just had the eggs they were ok, the parking lot gets tight once they start filling up. Moises M, Thank you for completing a survey as we truly value your feedback. We know you have other choices when choosing where to stay, and we are very glad that you decided to stay with us! Thank you for your loyalty to our brand and we look forward to seeing you again! Stay here often. Family events nearby. The rooms and beds are excellent. Very comfortable bedding. Very nice complimentary breakfast. Usually very reasonably priced, but paid more this trip because of some event taking place in the city, so they raised their prices, which I was not happy about. Thank you for completing a survey as we truly value your feedback. We know you have other choices when choosing where to stay, and we are very glad that you decided to stay with us! We hope you will come stay with us again! "Second stay and will return..."
Great location next to US-99. Quiet. Convenience stores close by, but shops and restaurants not so much. (I drove to Lodi for dinner.) Rooms are spacious, clean and quiet. Beds in line with what you expect for $79/night. Decent breakfast, helpful and friendly staff. nigel777, Thank you for completing a survey as we truly value your feedback. We know you have other choices when choosing where to stay, and we are very glad that you decided to stay with us! We do have a variety of restaurants in town within a mile distance. Thank you for your loyalty to our brand and we look forward to seeing you again! Great staff and very comfortable room! Nice bed, large flat screen TV and the jetted tub was big enough for two. The area was pretty quiet except for the person in the room above tromping around. I wish people that stay in motels would be more considerate. The breakfast has a lot to offer. I will stay here again. Katie M, Thank you for completing a survey as we truly value your feedback. We are glad you were satisfied with your room and our hot continental breakfast. Thank you for your loyalty to our brand and we look forward to seeing you again! We stay here once year when we come to Galt for the bird festival. The hotel never lets us down. Nothing fancy, but always very clean, comfortable beds, and generally very quiet. The comp breakfast always has fresh fruit, yogurt, cereal, etc. which we appreciate. A great value. Very well run hotel, good location, with nice rooms. The service is very good. The breakfast is good. I will be back when I have to work in Sacramento as it is only half an hour south in my car. A big thank you to the hotel staff. A couple miles off the highway, but easy parking lot. 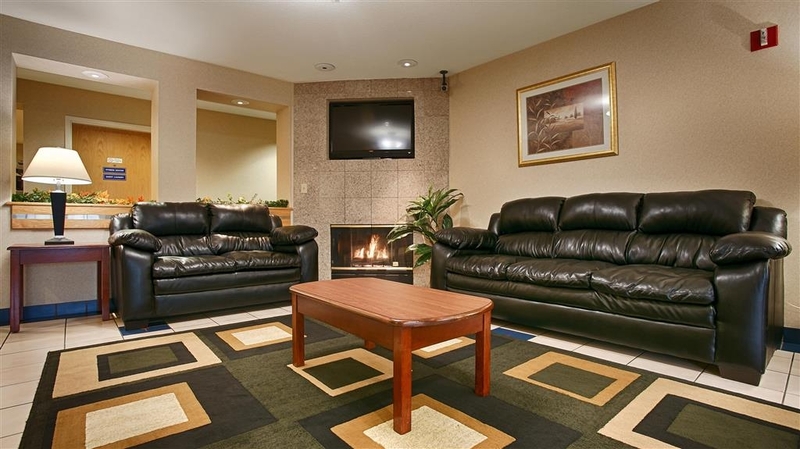 Comfortable room and motel amenities.Stairs to second floor were close to front desk. Neighborhood was quiet, room had no sound from adjacent rooms. Even though management was aware of a problem with noisy tourists, they did nothing to keep the noise down. We were up all night listening to young men running, jumping, and stomping on the floor. We complained and the person behind the desk said, "They did this last night, too." We deserve to be compensated for a bad night's sleep. it never fails that when I leave for business or pleasure that I can never find a room... I can always count on best western to have locations in every town city, or wherever I go. I don't particularly like staying in cheap places, so I go out of my way to find a best western. the rooms, for the most part are clean and in working order. I have, unfortunately, have had a few bad experiences, but when I comment and complain, the issue is reviewed and fixed immediately. in these cases I receive an apology letter and I resolution. fortunately these instances only happen few and far between. 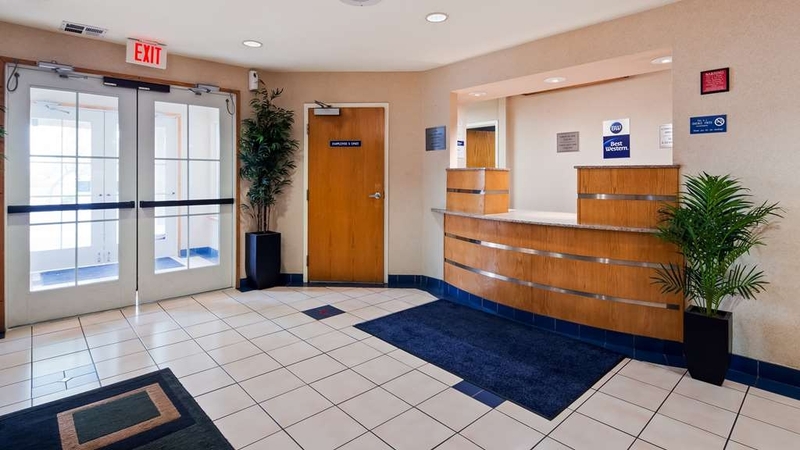 I will continue to use and stay with best western for all my business and travel need. Pretty standard hotel experience. The staff was friendly and welcoming. The breakfast was well-stocked and hot. Room was clean, but some of the fixtures in the bathroom need updating. Overall a solid option. Our room had an air conditioner that whistled all night long and kept my wife and I awake. Miserable night. The staff tried to stop the whistling, They took the unit apart in our room while we sat around in our night clothes. We had the smell of WD 40 for about two hours and then the obnoxious noise started again. We finally turned it off and then the room got miserably hot. Quite the night from hell. My husband and I needed to be in Galt to purchase a classic car. We stayed at this hotel for 2 days and were very pleased with the helpfulness of the staff as well as the physical facility itself. I spent a day pool side, working via internet and enjoying the hot tub. Breakfasts were nice. Business center was nice. All around, just a great experience. Thanks to everyone in Galt, they made our time there very enjoyable. There was parking, the lobby was clean, I was able to use the Jaccuzi for the comfort of my back. Breakfast was there early and just right for on the go. check out was easy. I would stay there again . Needed to do much computer work before checking in asked if the lobby printer worked as I would need it. Was assured it worked! In the morning was told printer was not wireless but i could use the computor and print two pages free and 50 cents a page for others. Printing did not work girl at desk came to check. She went back talking to a brearded man behind the desk, called her over again, still printer nor working, she is still talking to this bearded man, called her again she does not know why but printer not working! So i did not get my papers printed. "Maid went through my suitcase and left device on"
Maid went through my suitcase and left on an electronic device in my suitcase. I know this because I stay out of town in motels on business all summer long and have been doing this for over 30 years. When I came back to my room on Saturday night, my suitcase was not locked and an electronic device was on and running. If I had left it on in the morning which I have NEVER done the batteries would have been dead but it was warm and running strong. Someone went through my suitcase. Room had its problems, overall okay. Air vents dirty, TV channels were having problems, half the channels didn't work. Bathroom head was loose and the bottom one almost fell off. They raised the price because of a academy so the value just wasn't there. If it was a $50 dollar room it would be okay but $100 it was not up to standards. The hotel had a strong deodorant smell...we didn't figure out what it was covering up but the room smelled like smoke, dirt and dust! The bed had hair on the sheets and the bathroom floor was sticky. I didn't sleep much and opted to leave asap...we didn't even bother showering. If cleanliness isn't important to you then stay here otherwise don't bother!! We have stayed here many times and it has been good, but our room this time smelled musty and like smoke. We found a cockroach in the bathroom. The breakfast is good for this type of hotel. It is easy to get to from the highway. Overall, we have liked this hotel a lot and hope this was a one time bad experience. Rose V, Thank you for completing a survey as we truly value your feedback. On Behalf of the team, we would like to apologize for the issues that came up during your stay. Your comments have been discussed with the rest of the team to ensure it doesn't happen again. We hope you will give us another chance and we hope to see you again soon! Thank you for your loyalty to our brand.